When you visit Dr. Huang for PSTTM he will make an opening in the gum tissue near the treatment site. He will insert an instrument into the opening and will gently loosen the connective tissue, allowing the gum line to be repositioned to the desired length. It is then held in place while it heals using collagen. The entire process is completed without the need for incisions or subsequent stitches, affording you reduced healing times and a more comfortable recovery. The majority of patients return to their regular activities the following day. Gum recession, unlike gum grafting surgery which requires multiple surgical sites to harvest and then transplant donor tissue, Pinhole Surgical TechniqueTM is completed without these additional steps. Also, gum grafting surgery may only be performed in phases, allowing multiple sites to heal before beginning another treatment. PSTTM, conversely, can be used to stop gum recession and restore the healthy gum lines of any number of teeth in one session. 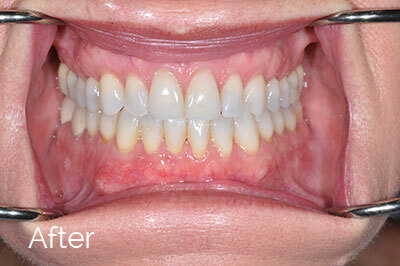 Just one appointment for Pinhole Surgical Technique can give you a healthier, more beautiful smile. Contact Dr. Huang in Las Vegas, NV today to schedule your PSTTM consultation. Unlike gum grafting surgery which requires multiple surgical sites to harvest and then transplant donor tissue, Pinhole Surgical TechniqueTM is completed without these additional steps. Also, gum grafting surgery may only be performed in phases, allowing multiple sites to heal before beginning another treatment. PSTTM, conversely, can be used to stop gum recession and restore the healthy gum lines of any number of teeth in one session. 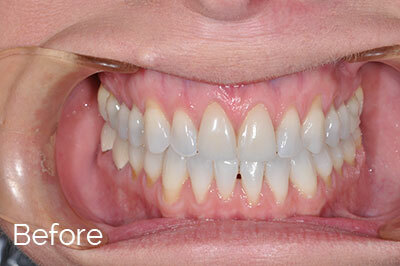 Just one appointment for Pinhole Surgical Technique can give you a healthier, more beautiful smile. Contact Dr. Huang today to schedule your PSTTM consultation.